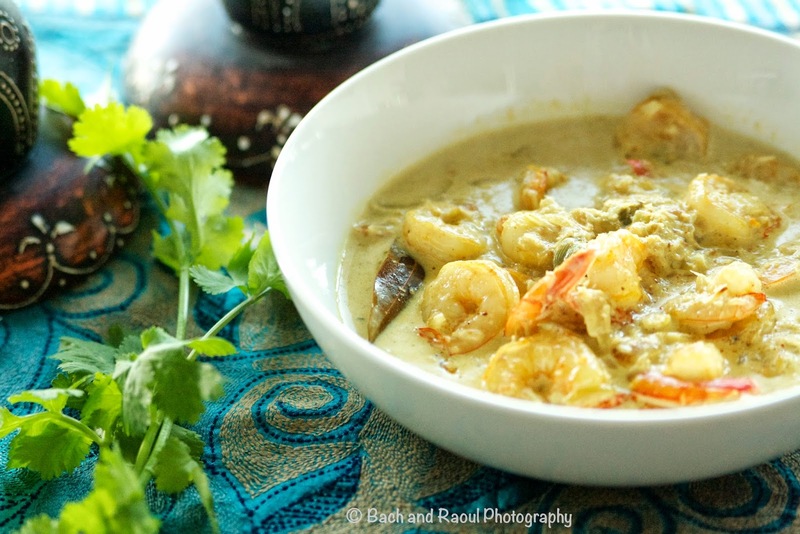 Chingri Machher Malai Curry is one of those iconic Bengali dishes that needs no introduction. 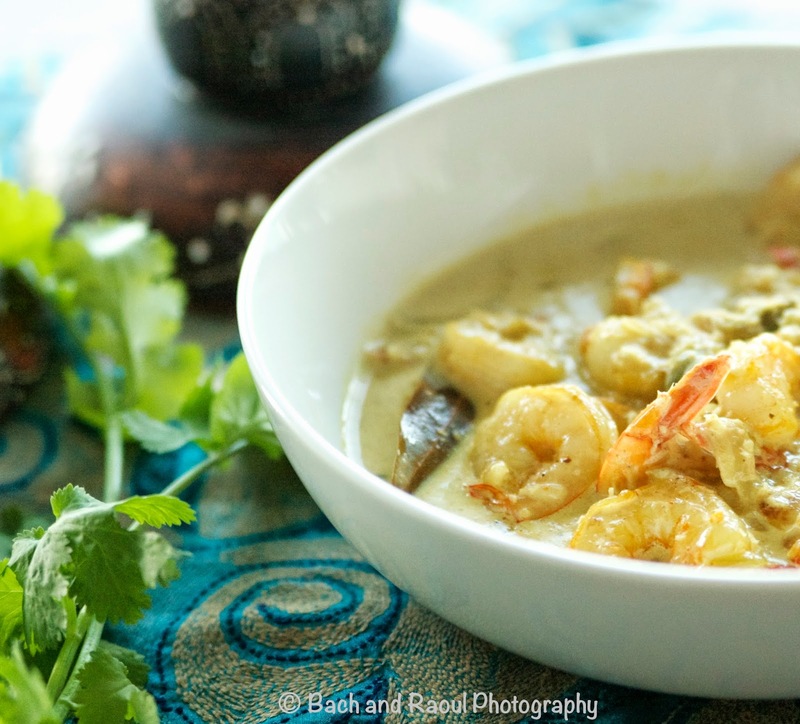 But to the uninitiated, it is a dish of prawns or shrimp cooked in a rich coconut curry. 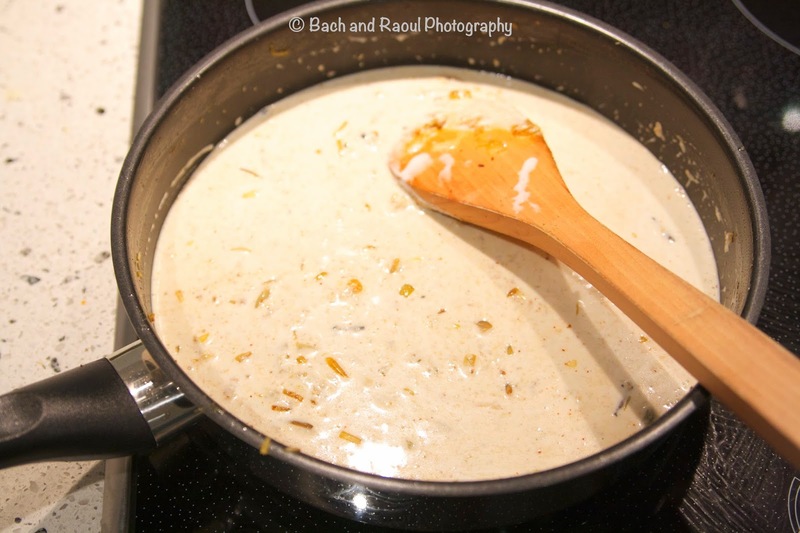 It is an absolute favorite and a sinfully indulgent dish. Ideally cooked using the largest possible shrimp you can find in the market, cleaned but with the heads and tails on. When my grandmom, mom and aunts cook it, they spend an eternity coring the coconut and squeezing the milk out. The flavor of the dish when cooked this way is off the charts. Sometimes in life though, we settle for second best. This is an easier version of the dish, still with enough flavor to trigger a healthy episode of nostalgia. My cheater's way to cook this curry is to use store bought canned coconut cream and to add about half a cup of frozen shredded coconut. 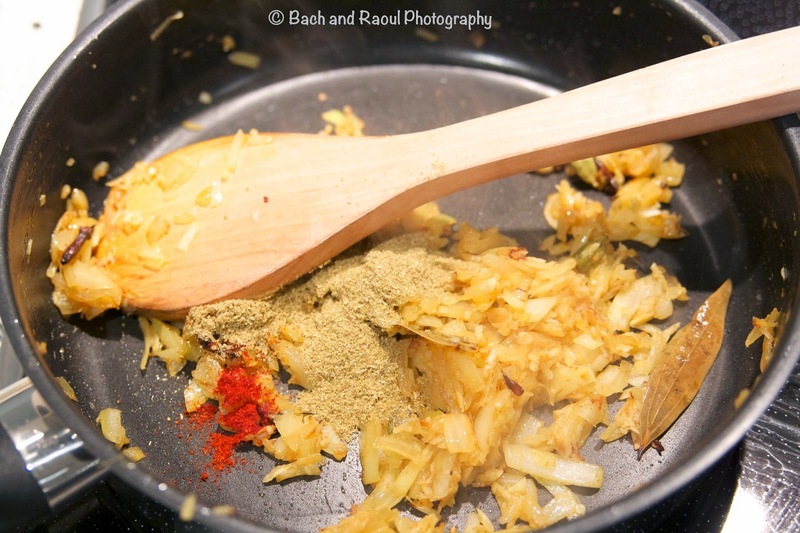 This adds a bit of texture to the curry and gives it a more authentic feel. And in 30 minutes, this is a weeknight lifesaver for sure! Be careful though, this is not the healthiest of dishes, so indulge in moderation! 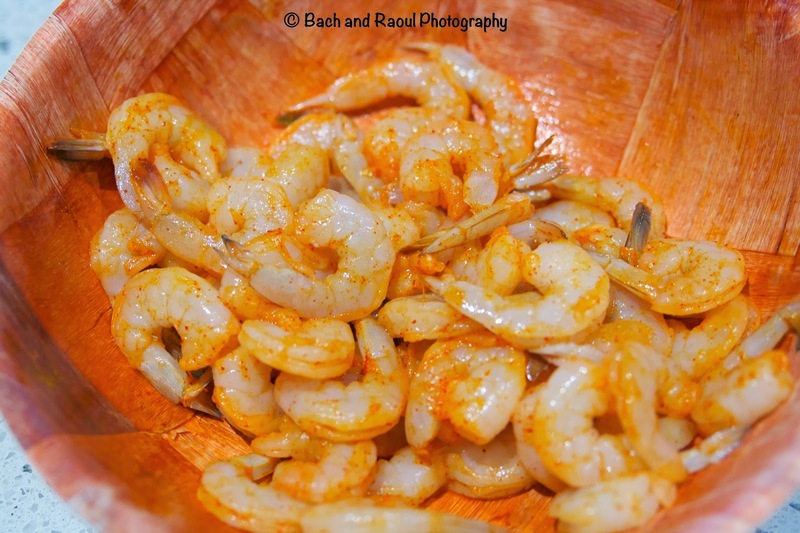 Sprinkle red chili powder, turmeric and salt on to the prawns and mix it all up. 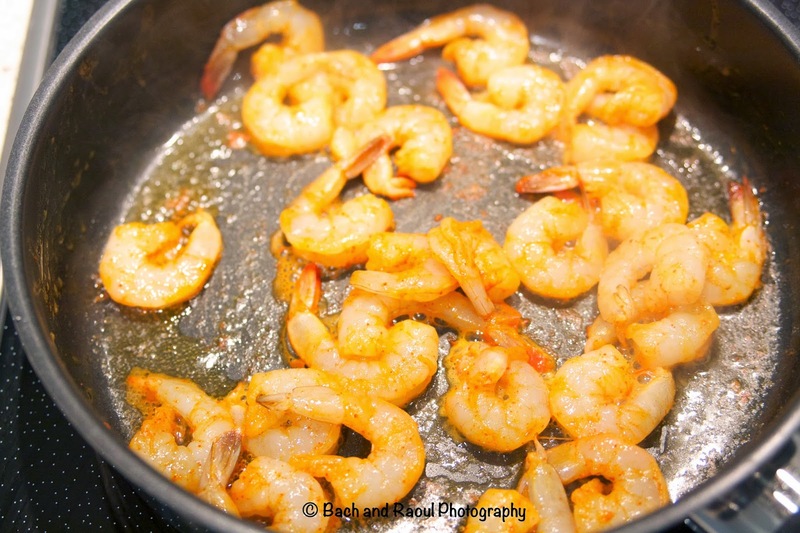 Heat 2 tablespoons of oil in a pan and add in the prawns and cook them partially. Do this in batches so as to not overcrowd. Remove and keep aside. 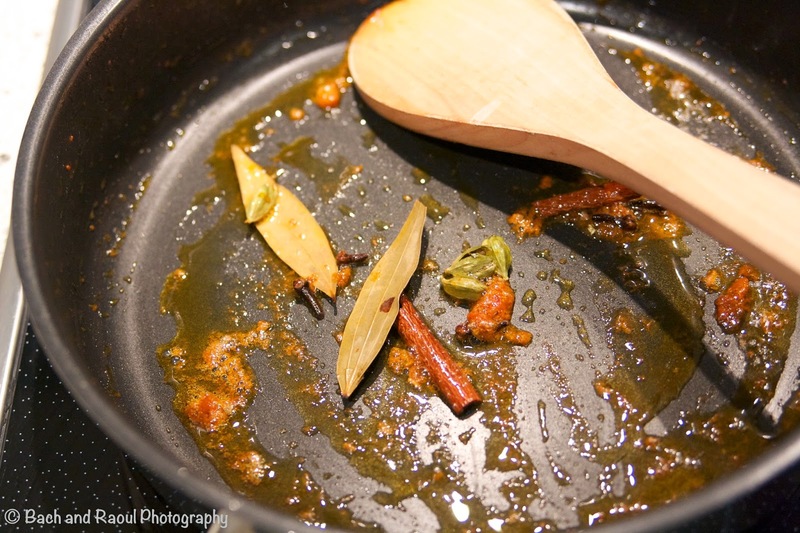 In the same oil in which you cooked the prawns, add the cinnamon, cloves, cardamom and bay leaves. I didn't add any more turmeric powder to this but I think this would give the curry a richer color. So add in about a quarter teaspoon of turmeric at this stage if you want to. 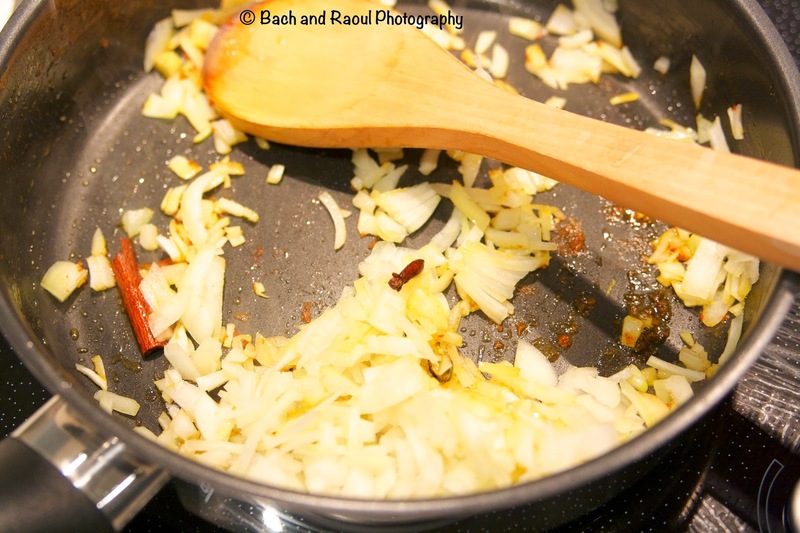 Add the chopped onions and sauté for about 2-3 minutes. 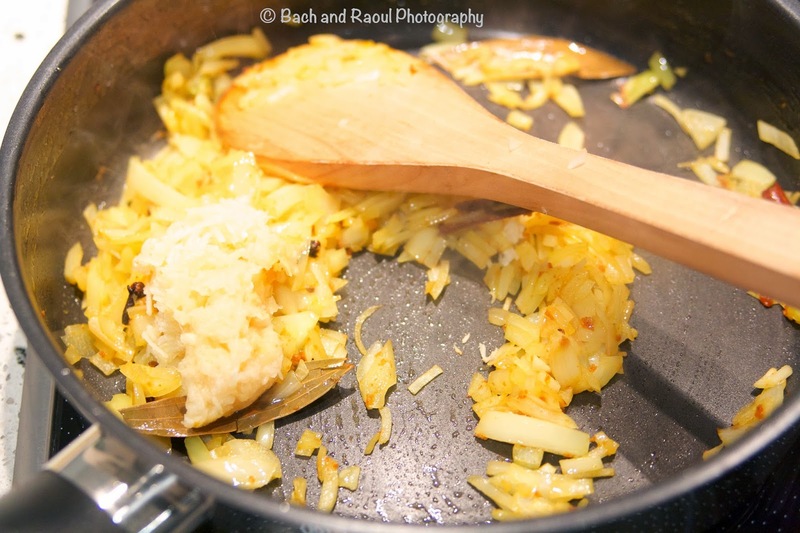 Add the ginger and garlic and cook for 2-3 minutes more on medium heat. 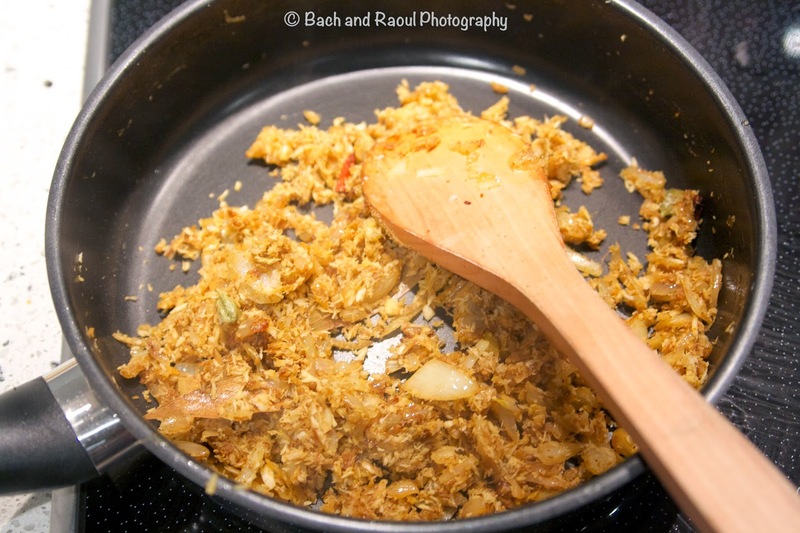 Add the garam masala, coriander and a bit of red chili powder and cook it all together for another couple of minutes. 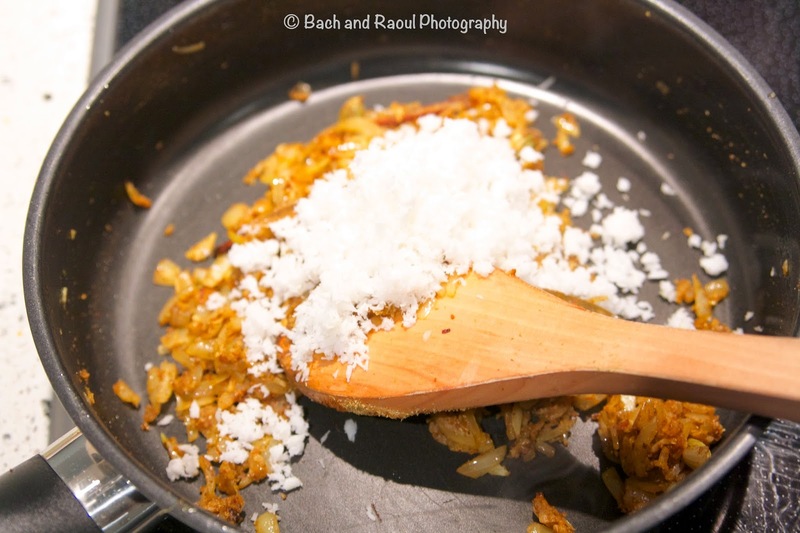 Add the shredded coconut. I thawed it first. Mix it all together and let the coconut toast a bit, another couple of minutes. Add the coconut cream and bring to a boil. 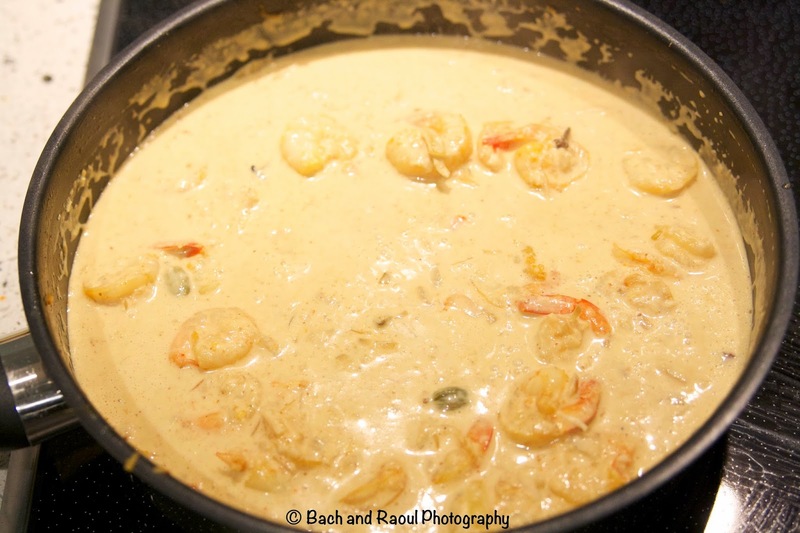 Add the partially cooked prawns and cook it in the curry for a minute or two. Never over cook prawns, as they become quite rubbery. Check and adjust seasoning. Garnish with chopped cilantro and serve with steaming hot rice. 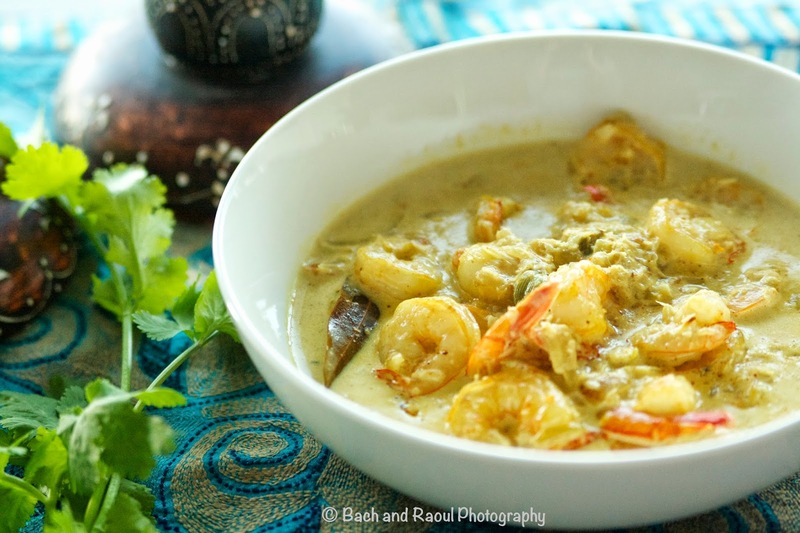 What a delicious shrimp curry! Looks so hearty, comforting and full of flavour.. definitely a recipe that I need to recreate for dinner this week. Thanks for the great idea!